Mahak Foods is US-based company. We deal exclusively with Saffron at the moment, and do hope to add other products to our inventory. Our Saffron is fresh, aromatic and all natural, sourced directly from the farms around the world. We deal in both retail and wholesale, serving retailers, restaurants, bakers, and other food enthusiasts. 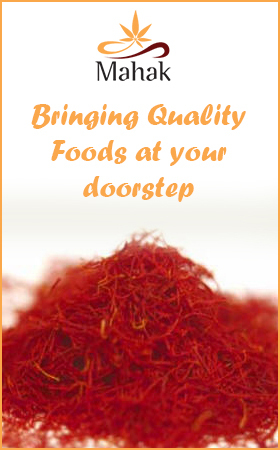 We import our Saffron from countries of origin which have the highest recommendations for premium quality. We offer both top grade as well as premium grade Saffron. Copyright © 2019 - mahakfoods.com - All rights reserved.